Killegar Road, Kilternan, Co. Dublin. Situated outside Bray, come and enjoy a superb, action packed day at Paintball Dublin. Situated just off the A117, this venue is very easy to access from Dublin or Newbridge, and with some of the greatest game zones around, this is ideal for players of all abilities. Our professional staff make sure that all groups are welcome. If you are celebrating a birthday or Stag / Hen Do, we can make sure that the day is truly memorable. Even if you are planning to come with a group from work or just a bunch of friends, we can make sure that you have plenty of stories to tell when you are finished. Whether you are a first time player or a weekly paintballer, Paintball Dublin is ideal for all players. Our marshals are always on hand to help out with any problems and offer any tips to anyone who would like them. 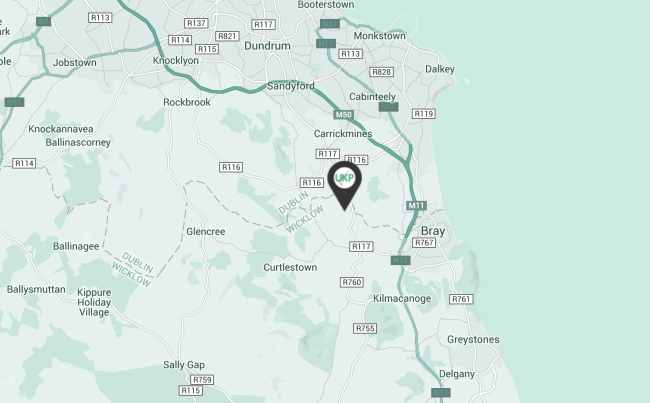 Address: Killegar Road, Kilternan, Co. Dublin. Sat Nav Coordinates: N 53° 12' 35" W 6° 10' 55"
Deep in the Paintball Dublin Jungle your team has uncovered a secret rebel base. Can you sneak in and secure the base before being alerted? The aim of this game is to capture the enemies flag and wipe out the opposition forces. But beware, the Paintball Dublin rebels are not to be underestimated. Make sure to work as a team leaving no man behind whilst keep your wits about you as someone is always watching. Located deep in the Paintball Dublin Woods, there lies what seems to be an abandoned village. You have tracked the enemy and your intel is telling you that they are located somewhere in this village. The only problem is that you don't know where. Be sure to work together to sweep down the village and find the enemy. But beware, don't fall into their ambush. The Paintball Dublin rebels are very stealthy and you don't want to find that you have been tricked by them. This is it, you have forced the opposition to flee, they have all retreated into their final stronghold. You have traced them back to the formidable Paintball Dublin Tower. Your team of elite paintballers has been sent to finish them once and for all. You must choose your approch wisely as the opposition will be expecting you to attack. Will you be able to secure the tower, or will it prove too tough to breach? Stealth is the key in this game, make sure that you plan how you are going to proceed, and use the Paintball Dublin scenery to make sure the enemy does not know where you are.